Executives and physical assets have become focal points for unhappy customers, activist groups, cybercriminals— and even disgruntled employees who want to do harm. 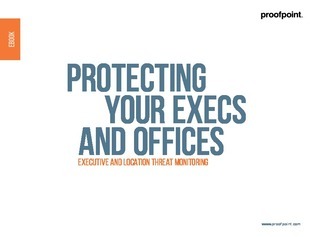 They all pose significant risks to your executives and office locations. In fact, 84% of top 25 Fortune 500 CEOs were victims of threats and hate speech on Twitter and the dark web in February 2018 alone, according to Proofpoint Research.